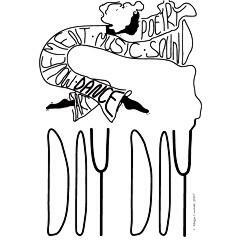 Dance Classes, Lessons, Events & Courses for doy doy - dance, movement & poetry. Dance Wear, Leisure Wear, Regular Dance Classes, Dance Company. Dance Styles: Dancercise, Freestyle Dance, Contemporary Dance, Junior Dance, Pre-School Dance, Early Dance, Lyrical, Singing, Body Conditioning. Mail Order Available. All Entries for The Pavilion Venue. Car Parking. Off McLeod Road. Dancercise, Freestyle, Contemporary, Junior, Pre-School, Early, Lyrical, Singing, Body Conditioning Instruction, Practice. Children aged 2 to 4 years. Parents must be present and are encouraged to take part. Dancercise, Freestyle, Contemporary, Junior, Pre-School, Early, Lyrical, Singing, Body Conditioning Instruction, Practice. Children aged 5 years and over. Parents must be present and are encouraged to take part.